Almotamar.net, Saba - Yemen's security authorities have begun investigating with 16 al-Qaeda suspects, 11 Yemenis and 5 Arab nationals, a judicial source said on Saturday. 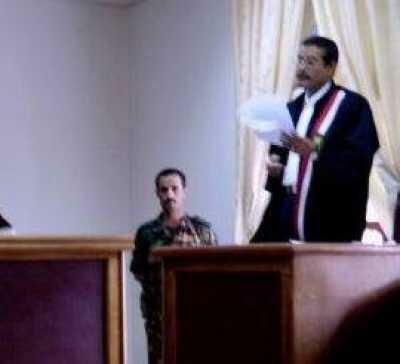 The judicial source was quoted by the state-run 26sep.net as saying that the suspected terrorists have been being investigated into charges relating to carrying out a number of terrorist operations which targeted oil and foreign facilities and foreign tourists in the provinces of Hadramout, Aden and Sana'a. The source pointed out that the suspected terrorists were involved in the attacks against a school adjacent the US embassy in Sana'a, a residential complex in Haddah area, the terrorist attack which targeted Belgian tourists in Hadramout, the suicide attack which targeted a camp of the Central Security Forces in Hadramout and attacks on security checkpoints in Hadramout.